Well maintained ranch with 3 bedrooms and 2 full baths. Cozy up to the stone wood burning fireplace in the great room with cathedral ceilings open to the large eat in kitchen. 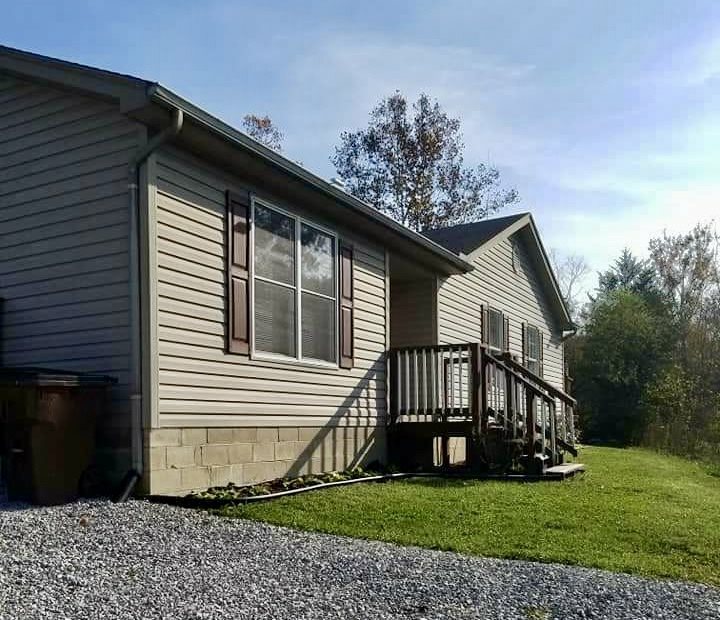 Large back deck with wooded view all on 2 acres! All appliances stay. Hall bath has adjacent large laundry room with storage. New wood laminate flooring.